We are saying goodbye to a turbulent year, filled with transitional events. And 2017 is getting the exit it deserves with a full moon on January 1, 2018. This astro-event, dubbed a supermoon known as the wolf moon, creates extra charged energy on a night already at high vibration. A full moon, like the New Year, carries a reputation of inspiring a shift and changing energy. This reputation is sometimes associated with chaos. But when we choose to utilize its influence in a positive way, this exciting rare phenomenon can create a vibrant, energetic and elevated 2018. To embrace the energy of the evening and charge your spirit, we lean into ritual and intention. We bathe in the moonlight to align our spirit with our hearts, listening to possibility and potential. We harness the energy of infinite possibility that the collision of these events create — proceeding into 2018 invigorated. We’ve selected a ritual from Crystal Muse: Everyday Rituals to Tune into the Real You for this event. Take your crystal and sage outside to the area where you’d like to enjoy your ritual. Light your sage, and waft the smoke over your body. After you’ve purified your spirit in the smoke of sage, immerse your crystal into the smoke. This will cleanse your crystal of any energy, so that it’s as ready to soak in the energy of the full potential of this year. Remove your shoes, and root your bare feet on the stabilizing energy of the earth. Remain active as you stand by paying attention to the strength in your core, your legs, your mind and your breath. 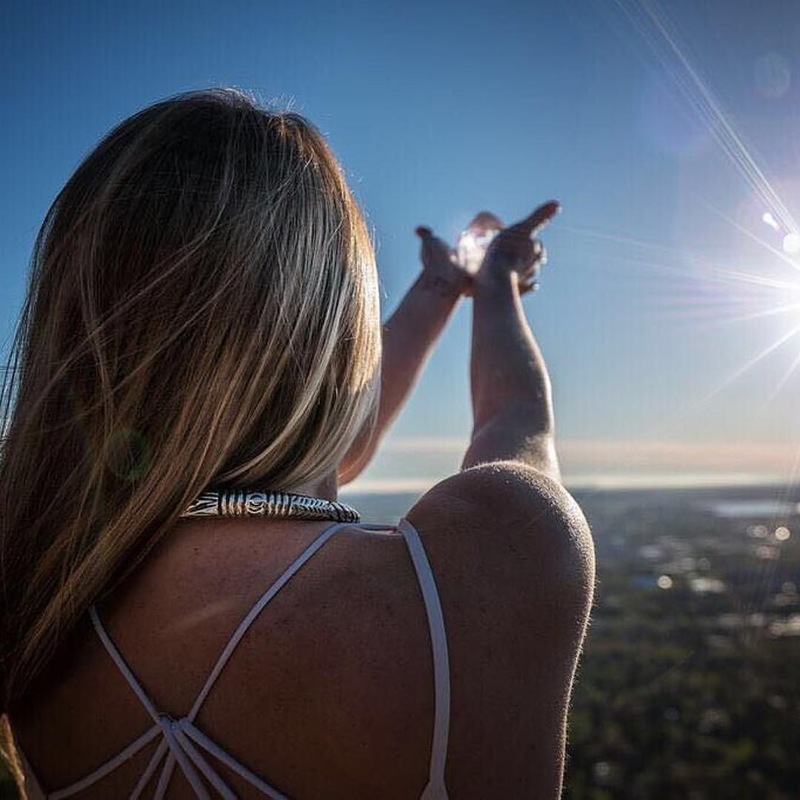 Raise your crystal up toward the moon and feel the energy of the moon and the energy course through you. After a few moments spent syncing with the power of mother nature, state your intention to release the energy of the past, and begin anew with the fresh force of positivity illuminating your soul in this moment. Spend some time bathing in the light of the moon in silence and lean into possibility.